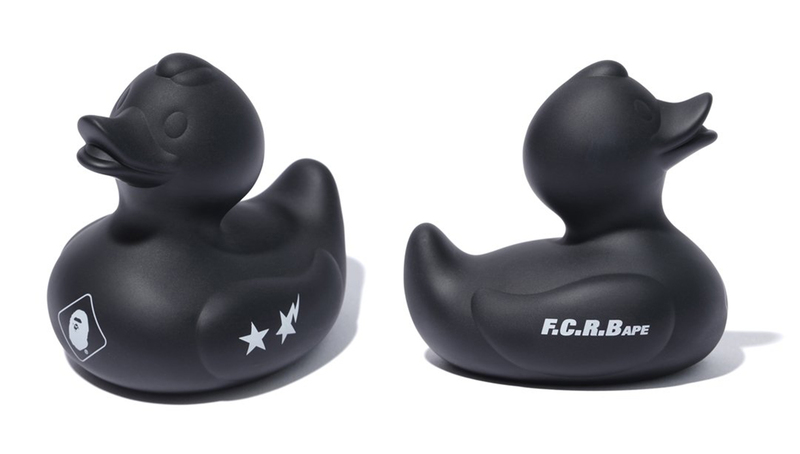 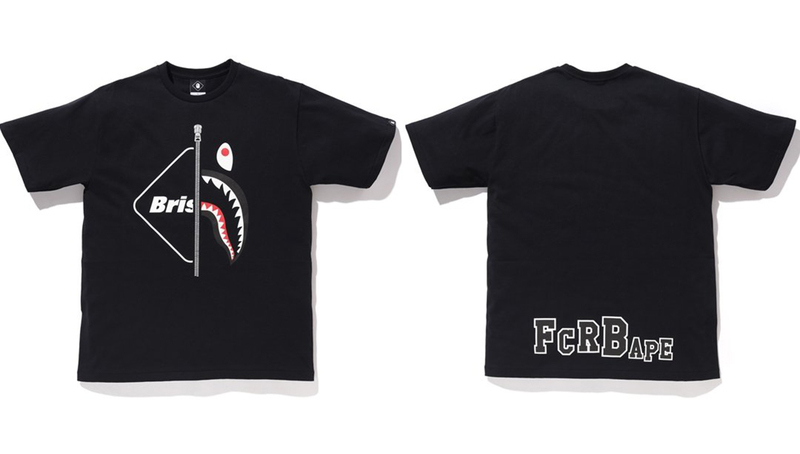 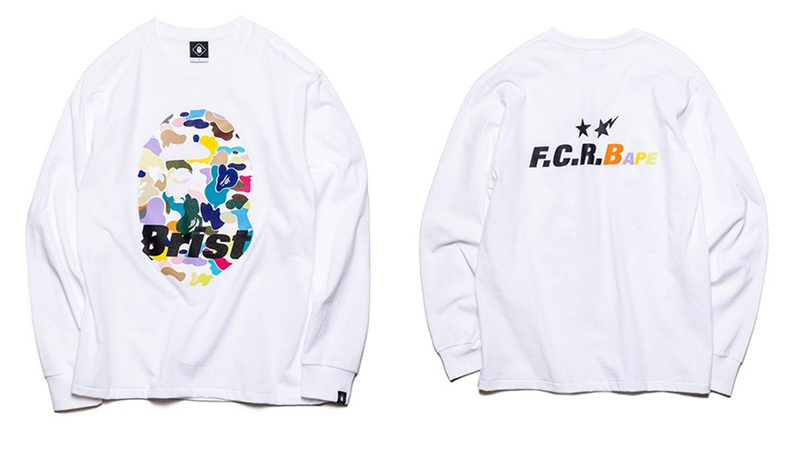 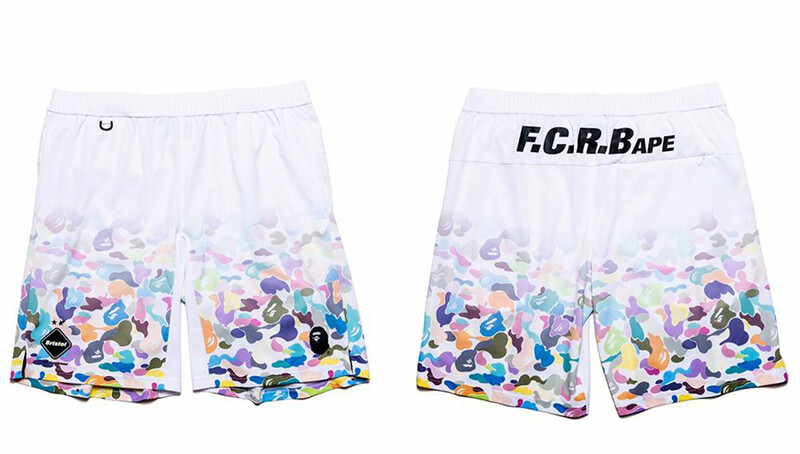 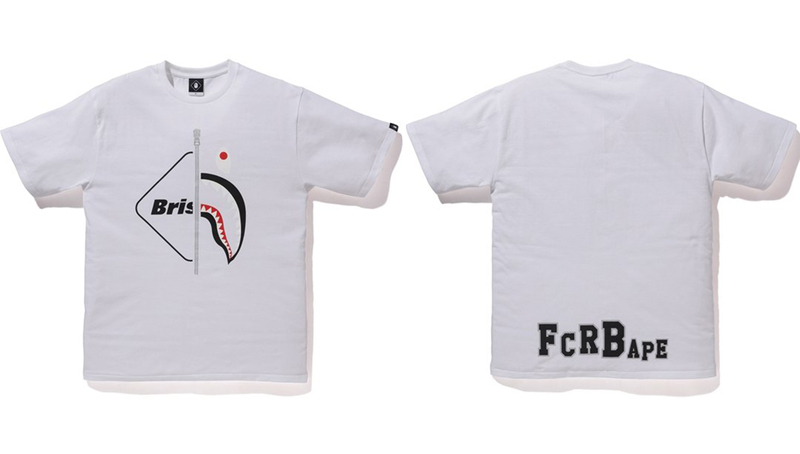 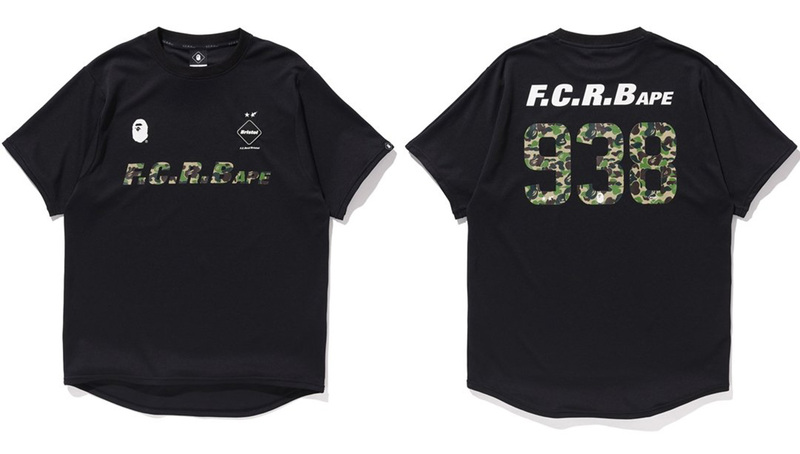 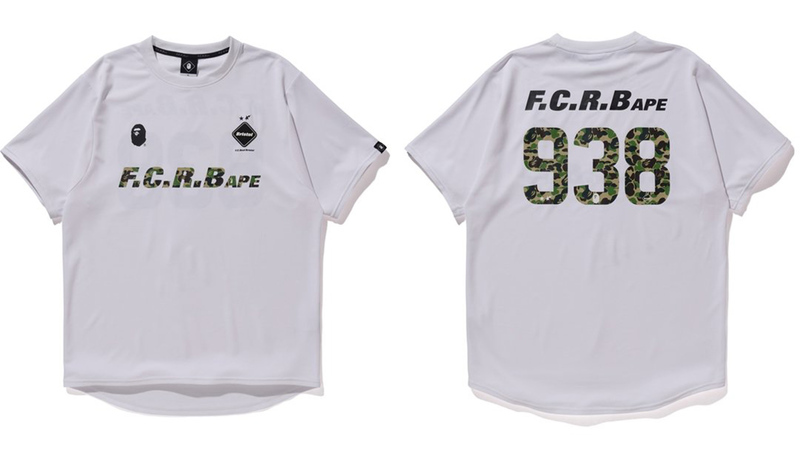 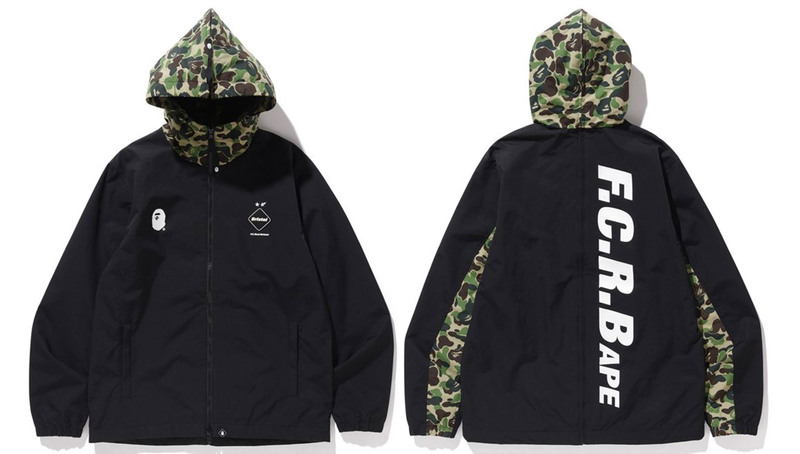 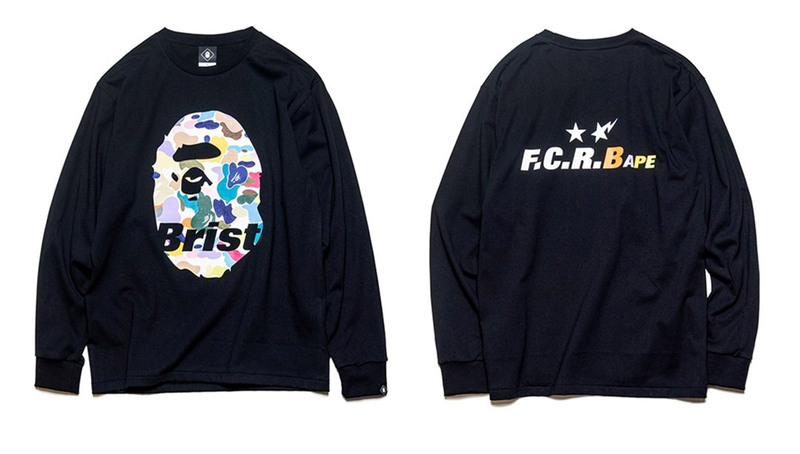 One of the most hyped collaborations of the year so far, the BAPE x F.C. 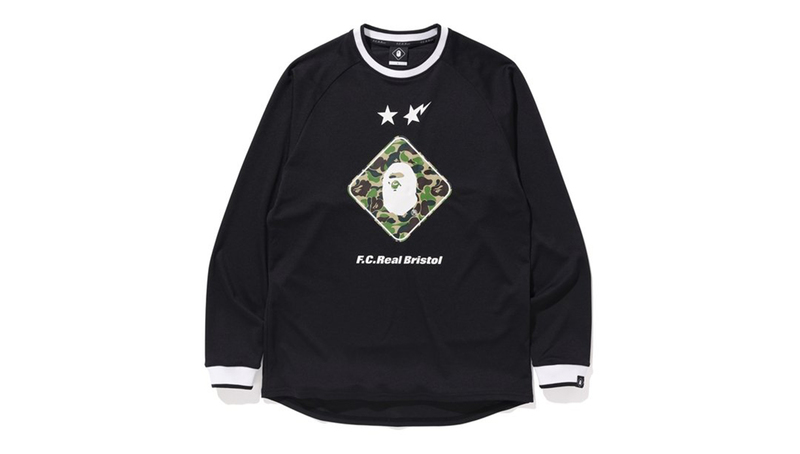 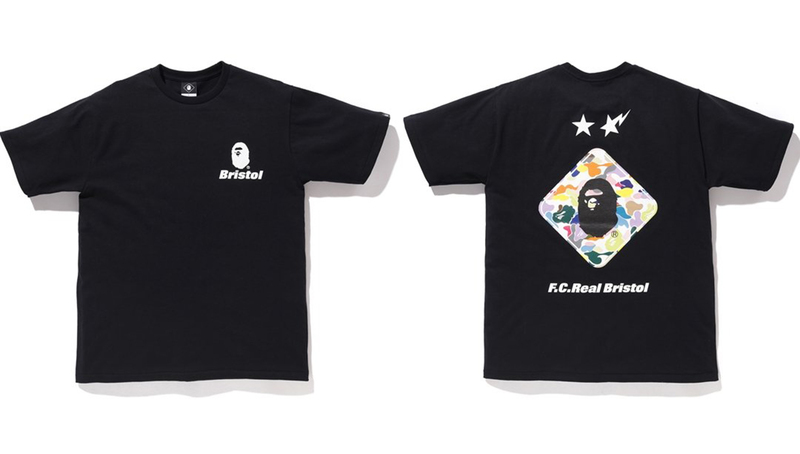 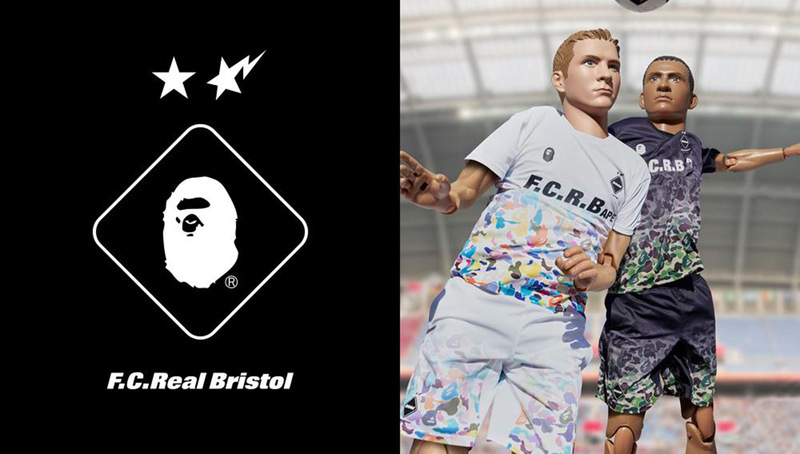 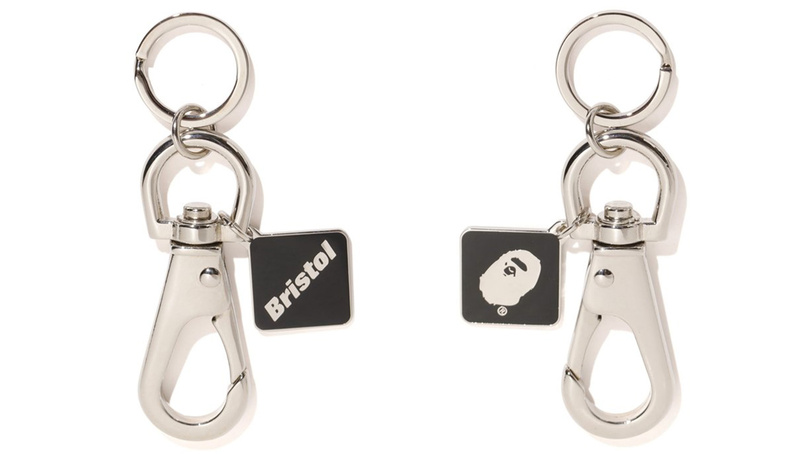 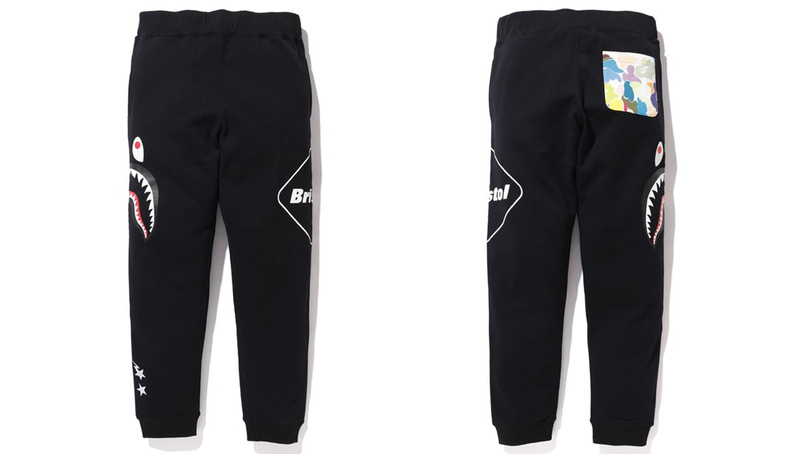 Real Bristol collection celebrates the 26th and 20th anniversary of each brand, respectively. 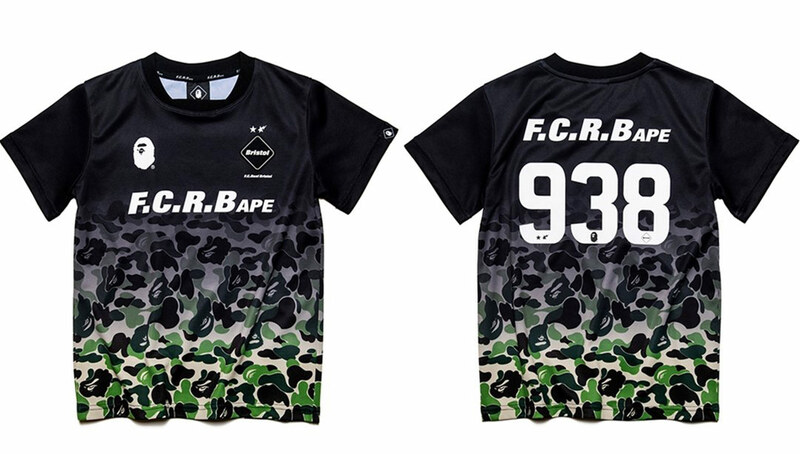 Surely set to sell out quickly, the 30-piece line drops tomorrow at select retailers. 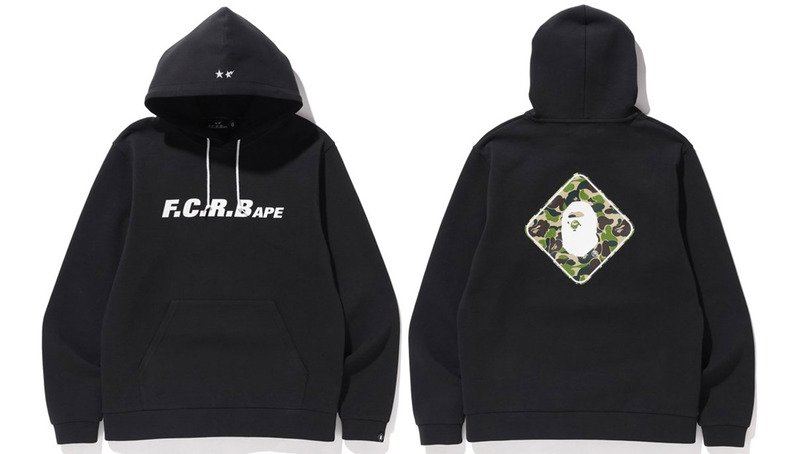 Over the past two-plus decades, BAPE and SOPH. 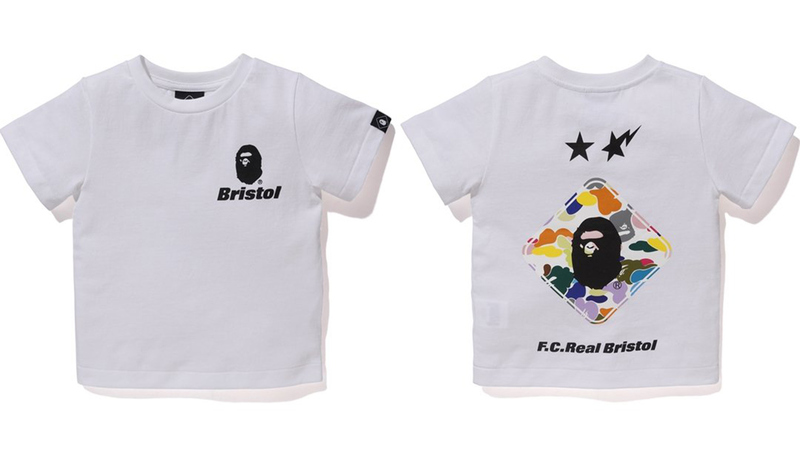 have enjoyed streetwear royalty status, dropping ravenously sought after collections left and right during that span. 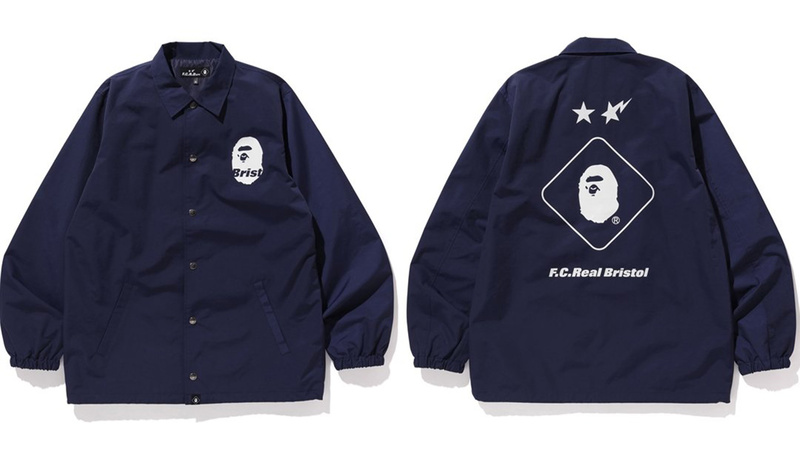 To celebrate their run, the two Japanese labels have come together to create a 30-piece collection that has the streets buzzing in anticipation. 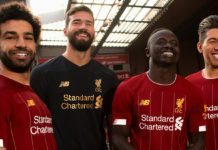 Under SOPH.’s F.C. 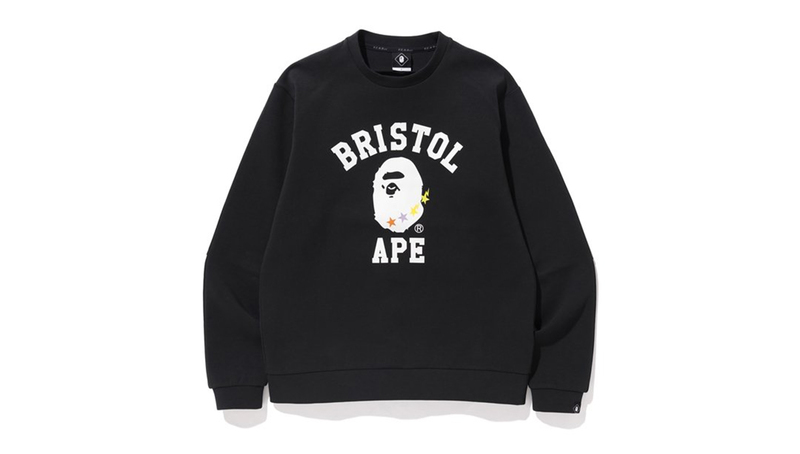 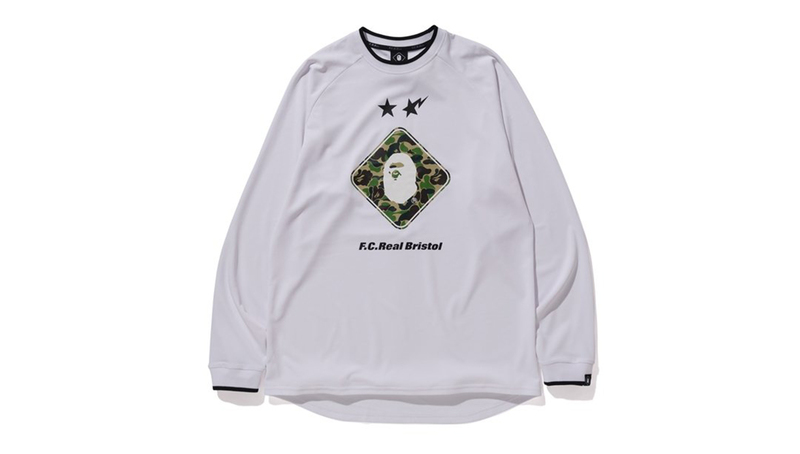 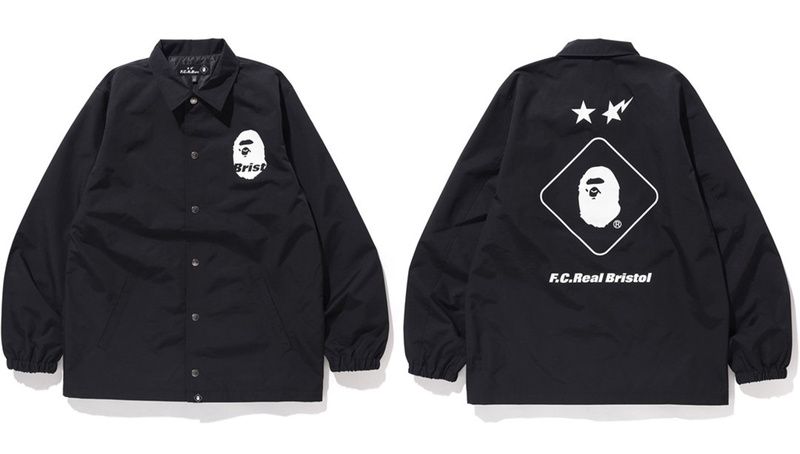 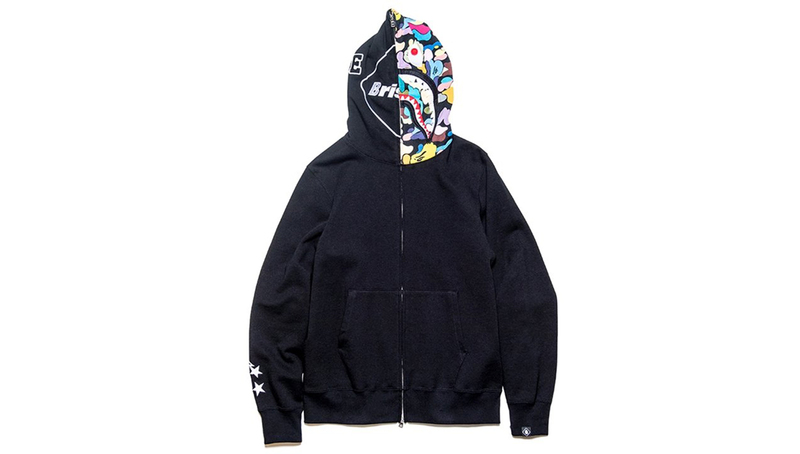 Real Bristol label, the line features heavy football vibes, including a foursome of kit-inspired shirts to go along with BAPE’s signature full-zip hoodie. 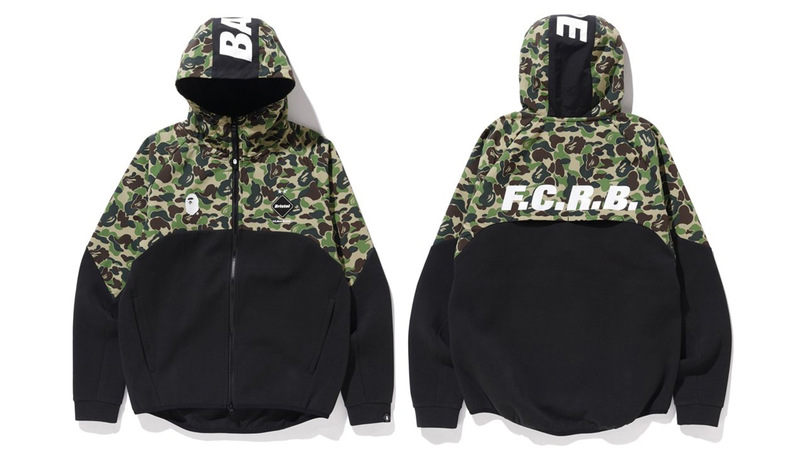 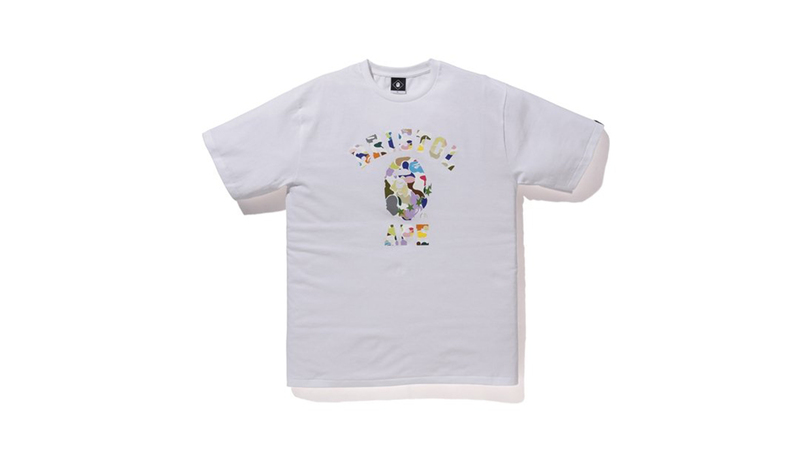 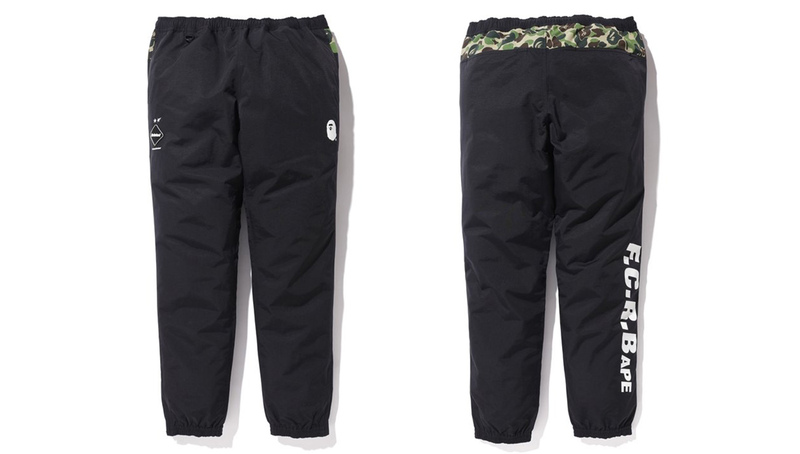 The ubiquitous BAPE camo print features heavily throughout the entire collection as well. 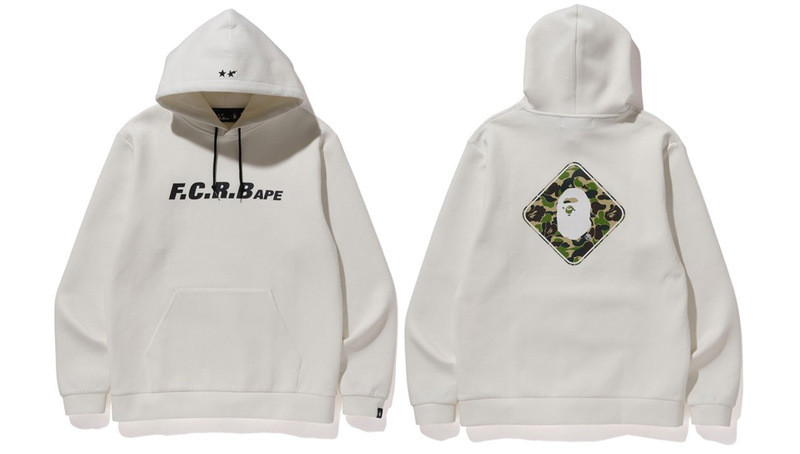 The collaboration is a culmination of each brand’s run atop the streetwear landscape — BAPE at 26 years and SOPH. 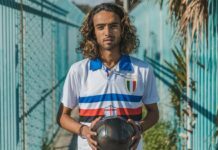 at 20. 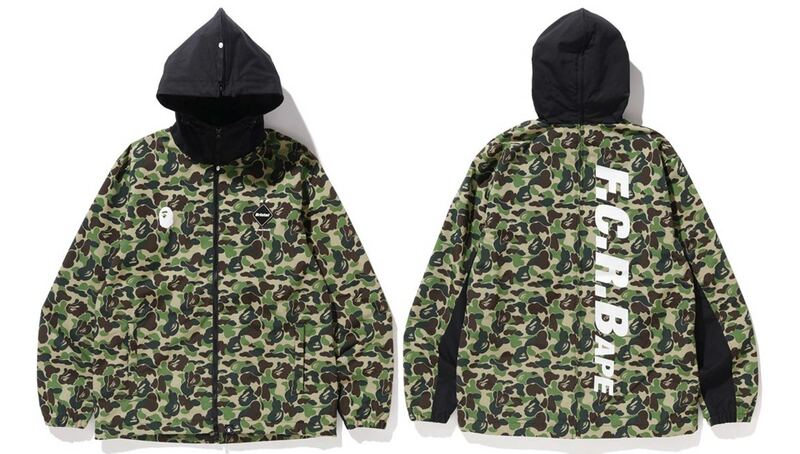 Each brand has put out collections that have sent hypebeasts into a frenzy, with some items going for thousands of dollars on resale markets. 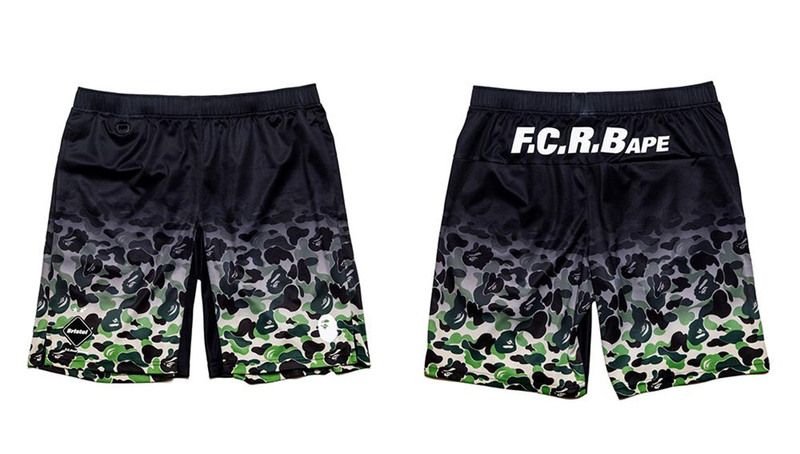 This one should be no exception. 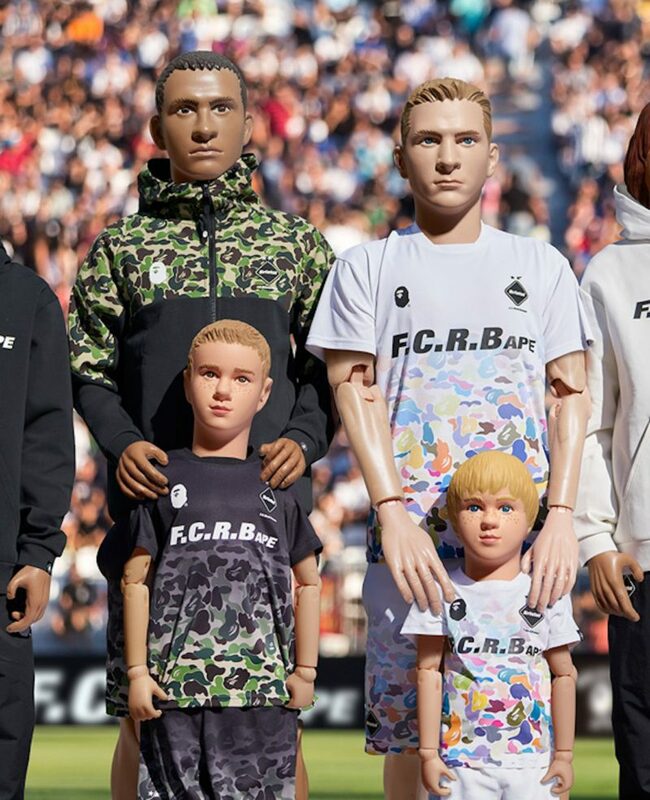 As with every FCRB release, the label teased promo images featuring mannequin models earlier this month, adding crazy amounts of hype for the collection’s drop. 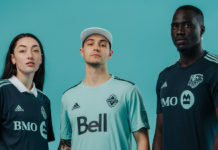 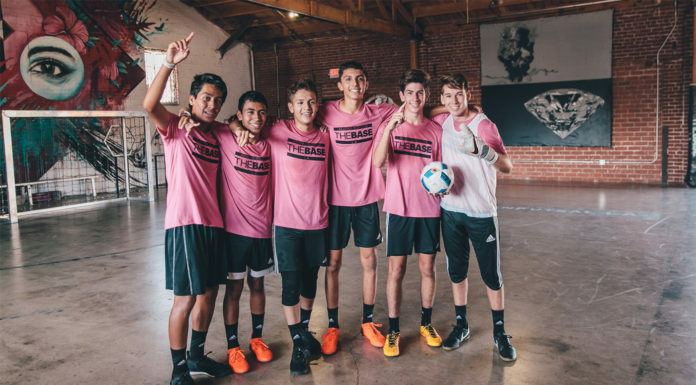 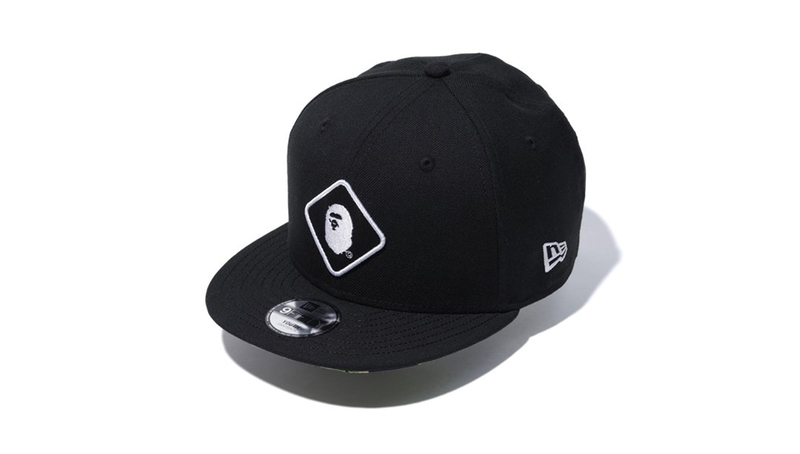 In addition to the jerseys and hoodies, it includes pants, jackets, long and short-sleeved tees, and a fitted cap, as well as goods such as a rubber duck and keychain. 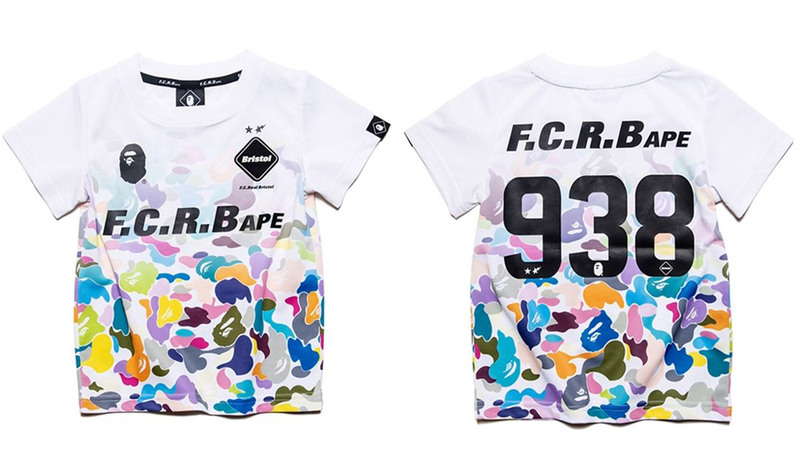 Available in both youth and adult sizes, the landmark collection is set to drop tomorrow at select BAPE and SOPH. 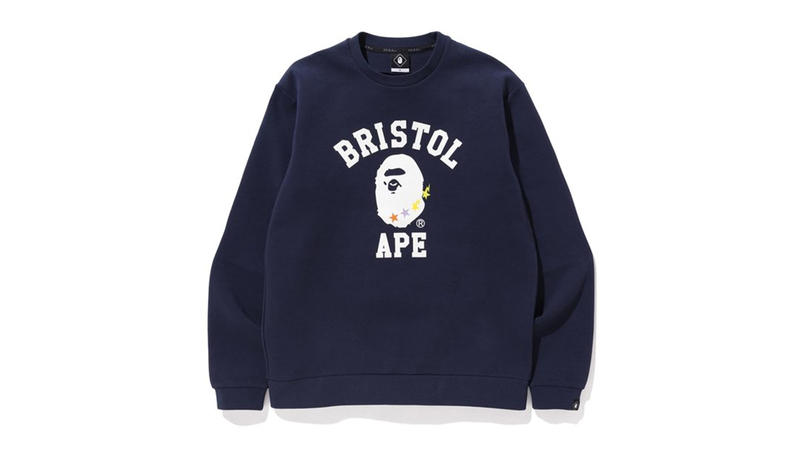 stores worldwide, as well as their online shops.